Late last week, rumors began to circulate, suggesting that Gal Gadot would not return for Wonder Woman 2 unless Brett Ratner was removed from the project. In a new interview, Gadot did not say if she was the main person responsible for the firing were true, but instead explained that the entire cast and crew "echoed the same sentiment," in regard to having Ratner's name attached to the project. The reports fired up immediately after Gal Gadot decided to not attend a celebration in honor of Brett Ratner earlier this month. While speaking with The Today Show, Gal Gadot revealed that everybody knows her stance on the situation because she has been so outspoken about the sexual misconduct allegations in Hollywood. In the end, it seems that the entire cast and crew of Wonder Woman 2 felt the same way that she did. Patty Jenkins has even come forward saying that Brett Ratner's RatPac-Dune Entertainment were removed weeks ago. Gadot explains. "At the end of the day, a lot has been written about my views and the way that I feel, and everyone knows the way that I feel because I'm not hiding anything. But the truth is, there's so many people making this movie - it's not just me - and they all echoed the same sentiments." Gal Gadot implies that a decision about Brett Ratner had already been made before news of her alleged holdout broke. Gadot goes on to say this. "Everyone knew what was the right thing to do. But there was nothing for me to actually come and say because it was already done before this article came out." Earlier this month, six women, including actresses Olivia Munn and Natasha Henstridge, detailed their experiences with Brett Ratner in a Los Angeles Times article. Ratner has denied all allegations through his lawyer, but the damage had already been done. Warner Bros. will honor the financing deal through the end of its contract in March, as RatPac-Dune Entertainment is financing several projects on the studio's upcoming slate, including Justice League, the Tomb Raider reboot and Steven Spielberg's adaptation of Ready Player One. In other Gal Gadot news, aside from critics praising her performance as Wonder Woman in the clunky Justice League, GQ Magazine has named her Woman of the Year. As Woman of the Year, Gadot will appear on the cover of the men's magazine. The article will be published this week, but the publication has already posted a teaser on its website, touting Gal Gadot as a former Miss Israel and soldier in that nation's army, and a "real-life badass." 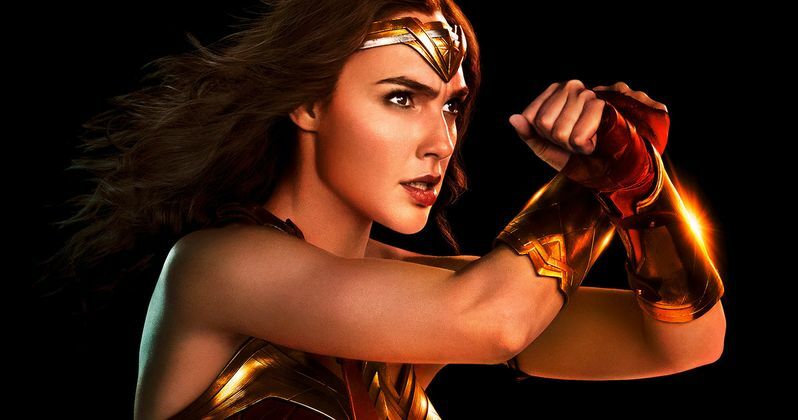 Gal Gadot did not have to specifically mention Brett Ratner by name while speaking out about the sexual misconduct in Hollywood since Warner Bros. had already made the decision to cease working with the producer, but there is no way that she would have agreed to sign on for Wonder Woman 2 had he been on board. Warner Bros. and DC Comics had to recently also cut ties with a long-time editor for sexual misconduct as well and the two companies are setting a precedent that they will not support those who have been accused of sexual misconduct in any way. In the wake of all this, Wonder Woman 2 got an earlier than expected release date change, and will now be here in November 2019, instead of December of that year. You can watch Gal Gadot talk about the Brett Ratner situation below, courtesy of The Today Show Twitter account.